Draken was still trying to get over that Vera left him, He was tired and just sat in his cave still sad so he took out his journal and wrote Well, I guess my cave is just lonely place, well actually. Draken stopped writing and looked at his hatchlings Never mind, I know what I can do. Friends: 12. Draken closed his journal and set it down and then looked at his hatchlings and said "ok, Daddy's not busy anymore, come here babies." Draken smiled and waited for one to react or someone to visit. Noctissa had been pouting in a corner because her father was too busy to play with Noctopie and her siblings. However as soon as she heard that he was not busy the dark dragon child turned around and leaped towards him. In three bounds she reached his feet then scrabbled up his body giggling the whole way. What are we gonna play? She asked finally reaching his shoulder and trying trying to hang off of one of her fathers back spikes. Being rather nervous, Lalani watches her sibling pounce up to her father. She was only just playing with the other hatchlings, but now Noctissa was all the way up there! And it barely took her a few seconds to get there. Lalani was a little baffled about how fast Noctissa could move, because it took Lalani a lot longer to get over to her father (about 13 of her bounds as she kept slipping and tripping over her giant wings). Even though she was battered, she jumps onto Drakens claw, grinning up at him, "What are we going to play dad?" She asked rather excitedly, her manic eyes excited. Draken giggled a little after Noctissa and Lalani ran over to him. He nuzzled them both a bit and then looked at them both. "Girls, how about you both agree on something and we'll do that, ok" Draken smiled and waited for them both to agree on something. Without a second thought, because she had complete trust in her father, Lalani gave him a rather toothy grin. "Sure! I'll agree on what it is, but I don't know what I am agreeing too." Lalani says, giggling a bit as she then gently pounces on her dads claws. When their father asked Lalani and Noctissa to both choose a game Noctissa immediately turned around and looked to her sister wondering what Lolli wanted to play. She tilted her head a bit grinning happily waiting for her to talk. Draken giggled a bit when hearing Lalani's response. He picked her up and lick her face a bit and responded. "you and Noctissa come up with something to do for fun, if Tissa comes up with something, then you can agree with her and we'll do that or you can come up with something and Tissa will chose to whether to agree with it or not, understood." He then puts her down and nudges her to Noctissa and waits to see what they can come up with. Myth went over to visit Draken today. So walking around for a MILLION HOURS DX (12 minutes) and found his cave. "Hi everyone!" she announced ,"Hi all of Draken'ss kids!" I walked around, once again arguing with Ender 2 on what should we do when we see a enemy. This is something we always do to keep us occupied during a boring time. (this is during their conversation, just to clarify) "...We, i don't think we should try to kill everyone on sight! Seriously, that is low even for you!" I told him in a irritated tone on him always wanting to kill anything that gets in our way. "Well, it is something i need to do in case if they attack us like that demon dragon with the paralyzing poison. Wait, i think i hear someone." Ender 2 replied with the laziest answer i had ever heard, then he said that a dragon or dragons were nearby. I crouched to hide myself to not be seen by any enemies, and slowly walked to the voices. Once i saw the group, it was just Draken and his hatchlings. A sigh of relief escaped from my mouth and normally walked over to the group. "Hey Draken! Long time no see!" I revealed myself to the group if they haven't seen me yet, which was a slim chance they didn't. "Could we... Play hide and seek?" She asked in a rather nervous tone. Draken saw that Lalani came up with the idea of hide and seek and now was waiting to see if noctissa was ok with that, but as he was waiting 2 of Draken's friends came into his cave. He smiled "Oh hey Ender and Myth, I wasn't expecting you 2 to come visit, how are you both?" He asked. Sera has gotten home too late for daddy to not notice him gone, but that dragon was fun to play with! He told him lots of interesting stuff! And he even taught him how to catch bugs! For such slimy little creatures, there were really tasty like he said! Sera had hunted the bugs every night and he would return home feeling full. Anyway, Sera returned home with lots of dirt on his scales, hopefully daddy doesn't mind him being dirty. He saw some other nightwings near his cave that he had met before but he doesn't remember their names yet. Sera went inside the cave and saw his sisters playing around, he wanted to join into their game so he creeped towards them and he made a 'baby' roar, attempting to spook his sisters. Noctipie looked at her sister with a grin on her face. Hide and seek was one of her most favorite games! She wiggled excitedly then performed a play bow in front of Lalani. Yeah Hide and seek! She yipped happily just as another dragon appeared before them. The stranger seemed happy and nice in the way they spoke, and her father didn't seem angry or scared. So Noct didn't hide or run. Instead she just looked up at the stranger as they approached. A second unknown dragon also came in, and shortly after that her brother arrived all muddy and dirty. Notcissa didn't notice Sera though until he roared at the two sisters. The young nightwing turns around to face him roaring her own reply then sees Sera and puts on a truly unhappy face. You wernt spose to be way from da den! Noctissa roars back at Sera angry at his blatant disrespect of the rules. Draken was happy that Noctissa and lalani both agreed on something and he thought that this was a great idea to get his family together because Vera left him. Soon sera arrived covered in dirt and mud and Draken looked at him with disappointment. "Tissa is right, you are not allowed to leave the den sera, this is your last chance, if you leave again without permission, your grounded, but you are allowed to join our little game." he said and then smiled grew on his face when he said sera could join. He turned to lalani and Noctissa and said "ok get ready and remember no using your abilities, that's cheating." he then closed his eyes and began to count "1.... 2.... 3..... 4"
Lalani chirps in excitement, sharing the same grin as her sister. This time though, she decided to find somewhere new to hide! Lalani bolted away from her father as quickly as she could, using her wings to give her a bit more speed to get to where she wanted. She was well aware that her wings were a deep black on the back of them and she beckoned her sister Noctissa to come with her. "We can hide in the darkest place and use my wings to cover us! They are big enough for the both of us!" she exclaimed quietly, excitement riddled through her voice as she crawled into a really narrow passageway. She beckoned her sister forward, to come to her. Lalani had explored in here a little, and it was safe enough if she could use her wings to hide them both from their dad. Sera gave his dad and his siblings an unhappy face, why can't they understand that he often leaves his home because of the fact there wasn't enough things to do in here. When it was bedtime, Sera wasn't tired enough to sleep properly and like mentioned before, there is nothing to spend his night in the cave, so going outside was his option regardless of getting in trouble. When his dad said that he could join the hide and seek game, Sera looked around for hiding spots and then shook his head, feeling more unhappy. The cave is so empty, there's hardly any rocks or tunnels he could hide in, and his sisters wouldn't like him following them or copying their technique. The other options were either he create a shadow of himself so he can blend in the shadows or he goes outside of the cave as a hiding place. But no, daddy would scold him, "Nu Sera, you cheated and its 'unfair' for everyone else " or "You not supposed to leave da cave when I told you not to, your 'grounded' now!" Sera sat down on his same spot, finally decided to not join their game. My family is boring, they are no fun to play with. Noctissa stuck out her chest and raised her chin then smiled back at her father as he backed her up. Sera was sooooo getting into trouble. A wicked smile crossed her face as Noctopie looked back to her brother. Now maybe he'll stay in the den instead of leaving us so much. She thought quietly only wanting to be around her brother. It was nice to be around her sister all the time, but sometimes she wanted to be around him and he wasn't there. Turning around quickly Noct smiles as Lalani gives her their strategy. Since their father wouldn't let them use their powers it would be hard to hide in the rocky earthen den. She nods quietly then follows after her sister. The passage they had taken was one of many cracks and crevices within the tunnel that their den was located. Deep dark shadows filled the hole comforting Noctissa as they wiggled into the tight space together. Noctipie then snuggled up under her sisters wing trying to hold back giggling as she did so. "5...... 6....... 7...... 8...... 9...... 10, ready or not here I come." Draken said playfully and uncovered his eyes. He noticed that Little Tissa and Lalani were gone, but sera hadn't moved. Draken sighed in dissapointment as sera chose not to join their game of hide and seek. What is his deal, why can't he stop getting in trouble and just go have fun with us and now that he's dirty I'm gonna have to clean him AGAIN he thought to himself as he stared at sera. "Hehe! What took so long dad?" Lalani asked, before she flashed a smile to Noctissa. She began to pull her wing down from the gap, but there was a slight crack and she felt the ground beneath her tremble. "What was that..? "She asked her sister, before the ground gave way beneath her. She yelped, pushing her sister back before she fell through. Lalani plummeted down. She shrieked, the darkness all around her, she spread her giant wings to try and slow her fall. But she was unable to see anything at all. Her wing, then her arm crumpled as she slammed into a wall. Lalani grabbed the rocky wall with her other paw, holding it tightly crying her heart out as she was so scared. "Dad..! Mum..? Anyone..?" She asked quietly, her voice echoing in the cave. Noctissa held back her giggles as they hid within the crack in the wall. She peered out from under her sisters wing every once in a while looking for their fathers shadow to pass over the opening. Minutes went by and still he had not found them. This was a good spot! How had Lalani found it? Noctissa wondered with delight as she snuggled in next to her sister. A long time passed until finally Draken's giant eye peered into the tunnel. His amused voice echoed out at the girls as they shifted. Noctissa laughed and smiled until a loud crack echoed around them. The earth trembled and to Noctissa's surprise Lalani pushed her away towards the opening of the crack. Noct grabs at the rock with her claws to keep from falling and watches in horror as her sister falls downwards into the shadows. It took her eyes a moment to register that a hole had opened up right where they had been standing. LALA!!!!!!!!! She cried as her sister disappeared down the hole. Noctissa was stunned still gripping the walls of the stone with her claws as she stared at the empty hole. Draken giggled as Lalani commented on how he took so long to find them. 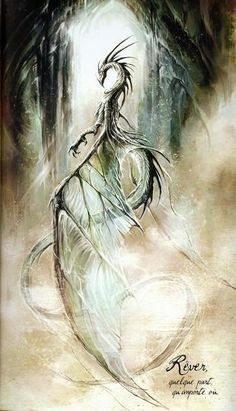 Draken then heard a small crack come from under Lalani and Noctissa and then soon it broke, Noctissa was safe, but Lalani plummeted down to the earth below her. "LALA!!!!!." He screamed as she fell and then reached his arm into the hole and was able to reach Noctissa. "Grab my arm sweetie, I don't want you to fall too, and I'm getting her out don't worry." He said with his arm still reaching out and awaited Noctissa to grab on. Lalani shivers, the cool, musty smell of the freezing cave biting at her scales. She whimpers, her arm getting sore and the other too painful to try and move. Her hind legs scratched at the wall, latching onto it-barely.She whines, looking around in the inky darkness, the shiny-oh wait! Her gaze latches onto the shiny thing, and she watches it as it slightly moves from the light. Being the little dragon she was, she was instantly curious with it, gliding down to where it was (even though her wing killed her). She sulked when she finally dropped onto it, wincing in the pain as she curled up and cries, the light of the hole so far away from her. Noctissa barely grabs onto her fathers arm as she stares down at the hole where her sister disappeared. Where did she go? Draken grabs noctissa and pulls her out, he sets her down nicely. "Stay here, I'm going to get Lalani, don't go anywhere." He said and then went nightmare mode, he looked at his daughter with his glowing red eyes, hoping she wouldn't be scared and then at the hole. He then cracked his knuckles. He then started to slash at the wall. He kept going and due to his nightmare modes strength, he started to break down the wall and the small hidden passage was no more. He saw the whole where Lalani fell and shouted "LALANI, DONT GO ANYWHERE, IM COMING TO GET YOU." He then started to break the hole open so he could fit down it, but it took a while.